Conectores CAT7 CAT8 Hay 6 productos. 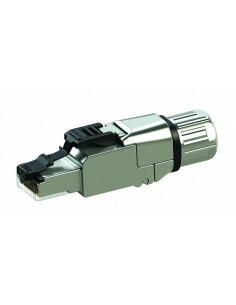 Conector Cat.8 blindado STP Macho. 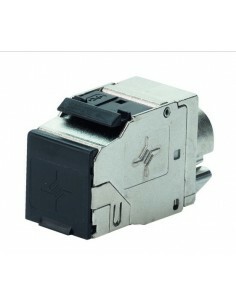 Conector RJ45 MACHO CAT8.1 AWG 27MFP8 T568B Cat.8.1 incl. pre-assembled protection cap AWG26 - 24/1, AWG27 - 24/7 Telegärtner. 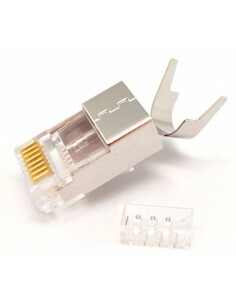 Conector RJ45 MACHO CAT8.1 FTP MFP8 T568B Cat.8.1 incl. pre-assembled protection cap AWG24 - 22/1, AWG27 - 22/7Telegärtner.